Fed up with your missing teeth? Want to look and feel happy and healthy when you smile? 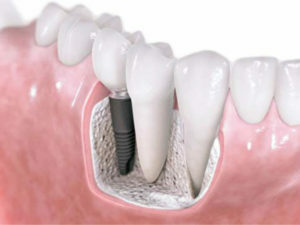 Dental implants are an alternative to dentures that look and feel like your own teeth. 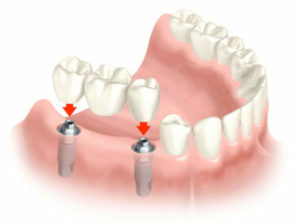 Your missing teeth can be replaced with dental implants as a reliable long-term solution. We can replace a single tooth, multiple teeth or even a whole jaw of missing teeth. Dental implants are biocompatible posts that are surgically placed into the jawbone and replace the roots of the missing teeth. Usually, these surgical grade posts are made of titanium. The implants that are inserted into your jawbone usually take 3 months to fuse permanently with the surrounding bone. After the fusion (also known as osseointegration) takes place, the implants are strong enough (if not stronger than natural teeth) to serve as a base of various restoration designs such as crowns, bridges and dentures. The pre-requisites for successful dental implants are to have healthy gums and adequate bone to support the implant. We also consider other factors including your general health, conditions such as diabetes and osteoporosis and life style and habits such as smoking. Regular maintenance and good oral hygiene is critical to long-term success. Why choose Mosman Village Dentistry for your dental implants? Dr David Wing obtained his Graduate Diploma in Clinical Dentistry (Oral Implants) in 2003 from the University of Sydney. He has been working in the field of dental implants and complex reconstructive dentistry for over 15 years. In the interest of our patients, Dr Wing chooses to work with highly qualified specialist Surgeons with proven clinical results. Dr David Wing has a great deal of experience in planning and designing simple to complex reconstructive implant cases. Along with consultations, record taking and investigations are carried out including: photographs, moulds of teeth, bite records, X-rays including MRI and CBCT. 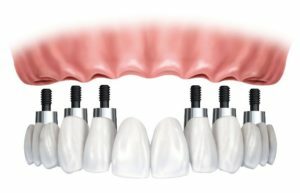 He has helped many patients over the years benefit from dental implants with his unique “know-how” of best formulating a treatment plan for each individual case. Dr Wing chooses to work with select Specialist Surgeons with experience in placing implants in simple to complex and difficult situations. Dr David Wing provides specific design and prescription for the prostheses to be attached to the implants. Australian based, local dental technicians and ceramists who have a reputation for superior quality and aesthetics make the prostheses. What can I expect to feel after my dental implants? After the numbness of anaesthetic wears off, it’s normal to feel some dull discomfort around the area of the new implants. Quite surprisingly, most people say that surgical placement of dental implants do not feel any worse than having a tooth removed. Often, patients report having no discomfort at all. In the hands of an experienced surgeon executing a well-planned treatment, post-operative pain is kept to a minimum if none at all. What is involved in dental implants after-care? As with any surgical procedure, there will be prescribed medication to control any pain and prevent infection. It’s important to refrain from smoking and drinking excessive amounts of alcohol for up to 3 months. Good oral hygiene is especially important following the surgery to prevent infection and allow good healing around the implant. At review appointments, we will check the gums and the fusion (osseointegration) of the implant with the jawbone. For long-term success of dental implants, it is critical to attend regular check-up and cleans and follow good oral hygiene regime.